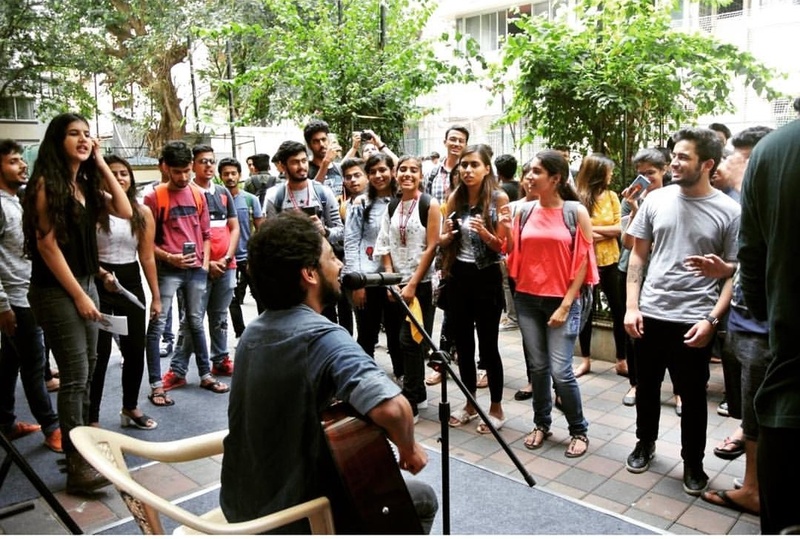 Students of Mumbai’s Jai Hind College could not have had a better platform to showcase their talent than the finance festival they hosted recently. Here is what they learnt. The dawn of 2019 saw a flurry of activity at Mumbai’s Jai Hind College as it geared up to host what was touted as “the biggest Finance Fest of the city”. Reliance Digital presents Entourage 2019 turned out to be more than an experience. Team Entourage illustrates the lead up to the event and how it all helped to define a steep learning curve. One of the most far reaching approaches before deciding to be a part of a large scale project is to be able to decipher the reason for its existence, in the manner it is required to reach the audience and how your role may enhance it. As Entourage had been revamped in 2019, it was unlike the cultural fest it had initially begun as, we brought forth the concept of a Financial Fest. It helped us to know that this time our target judges would be credible individuals in the fields of finance, business, economics and media so we brought them on board rather than traditional celebrities. As it is rightly said: Nobody knows you better than you, thus pick the area you would like to be a part of after thorough eliminations of your disinterests and on the basis of your talents, you shall stumble upon your true calling! Remember not to get intertwined within the hierarchy, for one’s value and efforts surpass one’s authority. A leader as well as a follower are equally important if they are in the right places. Being the Vice Chair Person of the Marketing Department, Akshaj Khemka also leads Social Media, he taught me how to twist a crisis in a way that it would benefit me and became the one I turned to for advice and guidance enabling him to use his skills to bring out mine! One of the most rewarding facets of such an endeavour taken up by students is the freedom to make mistakes and even rectify them. There shall always be pressure but time shall make you more professional. One of the things we learnt was when reaching out to potential sponsors, we must have a strategy of how we plan to use those funds and how that particular company’s product fits into that idea. Thus, we should’ve put up a more confident and coordinated front overall. In today’s competitive world, your contacts are a large part of who you become and how fast you become that. While you’re bound to meet new people and make friends, you might be meeting your future business partner too! Having been grouped up with several individuals, I came to acknowledge the strengths as well as the techniques of many, but what stood out for me the most was how many creative and balanced people I met like Sejal Jain, Jaisal Shergill, Taha Tinwala, the Marketing Heads of Department and what expertise they could bring to the table if I ever wanted to launch a start-up. Not only does one get hands-on field experience but it also looks impressive on paper. At the end of it all, your resume certainly looks stronger. Apart from the core and the main team, we even had committee members from our batch who worked without any designated posts. They served as helping hands and really raised the bar to an unimaginable level by mutual learning experiences. Kushal Bharani, the Photography Head of Department, pulled off an entire photo shoot of 30 people with different concepts and ideas, an opportunity he could only get through Entourage. There will always be work to get done, sometimes you may be needed to step up while at others you will be allotted work, you have to manage your team to the best of your ability. Ensure quality over quantity by keeping the spirits of your team high through motivation and credits. There were times when we had to put our best foot forward and let go of all the disappointments we had in the past. Our Chairperson, Zain Naqvi, pushed us to keep going as his words echoed through our actions. This is the perfect scenario for trial and error, let your ideas flow and not be defined as being inside or outside the box, but let them be far away from it altogether. Nihal Juneja, Anjali Menghrajani and Payal Devjani, the Tech Heads of Department, amped up their skills to give us a superior and competitive edge. It is known that a novel but idiosyncratic concept always sets higher benchmarks than a mainstream and predictable one. For instance, we had to brainstorm team names for all the Contingent Teams, that is the different institutes participating for our intercollegiate fest. We needed something that would help us come full circle on the lines of a financial event but still not one that was too clichéd, initially we thought of Company names, top 20 listed NSE stocks which were too contemporary and we also deviated towards names of past fighters like Aryas, Kauravas and Mughals, but at the end there was a consensus on taking financial tech terms such as Team White Knight, Team Zombie Debtor, Team 800 Pound Gorilla and more! It is easy to convince and get the internal organisation rooting for your event, but it is essential for outsiders to see the value you bring to them. Evanshi Jhaveri, the Sponsorship Vice Chairperson, created win-win situations for our sponsors that increased the magnitude to a great extent! We were extremely elated when we were able to get sponsors such as Reliance Digital, Pepsi Black, Integriti and more to back us. He enumerates the values of team work, leadership, and efficiency strung together with a strong common habit of endurance and hard work as the reasons that saw the event end on a successful note. Juhi is a second year Bachelor’s In Financial Markets student of Jai Hind College, Mumbai, India, aspiring to study corporate law after graduation.